In 1868 John Wesley Hyatt became the first to inject hot celluloid into a mold, producing billiard balls. He and his brother Isaiah patented an injection molding machine that used a plunger in 1872, and the process remained more or less the same until 1946, when James Hendry built the first screw injection molding machine, revolutionizing the plastics industry. Roughly 95% of all molding machines now use screws to efficiently heat, mix, and inject plastic into molds. 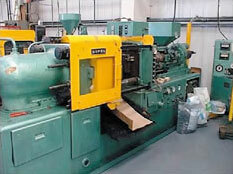 Plastic injection molding shops have come a long way. Some shops take a job from cradle to grave by building the tool and/or mold and producing the parts as well. While other shops simply produce molded parts from a customer supplied mold. E2 job shop software gives you the visibility to integrate all of your business critical information into one system. From estimating the mold and/or parts, scheduling jobs on the shops floor, tracking the job costing of those orders, managing your material effectively, shipping and finally complete financials.